The Escapologist is a fun cocktail bar in Seven Dials – big on personality yet wallet-friendly enough to make it a viable option for a casual drink. Quirky might well be The Escapologist’s middle name. After all, how many cocktail bars do you find that have been named after a Victorian vagabond who escaped a death sentence a few hours before the final hour? A magical subterranean bunker filled with weird and wonderful decor, The Escapologist London is part cocktail bar, part escape from the day to day grind of everyday life- with tin tiles on the ceiling and a world of expertly-made libations waiting for you behind the bar. Its large – split into the larger “Masonic Lodge” there’s also a smaller Vault where all the dancing kicks off as the night progresses. Who would have thought that the entrance, small and discreet, would lead to such an eclectic space. 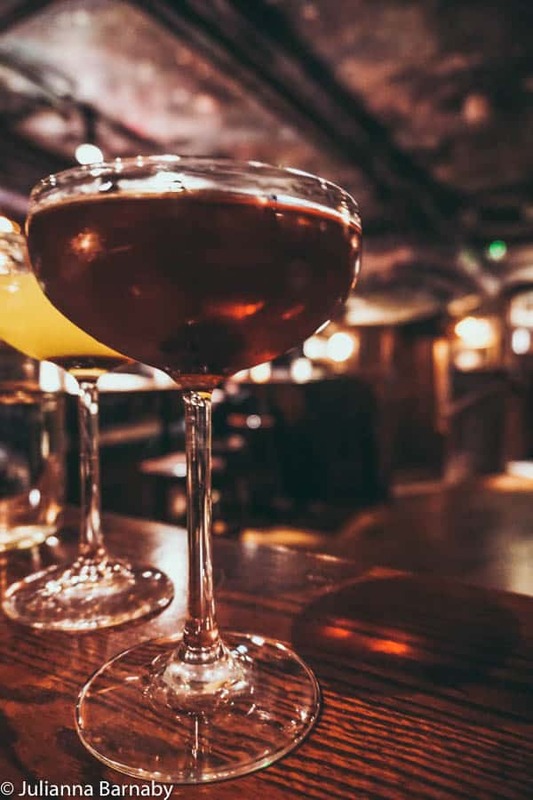 Back to the story, the bar is based around the escapades of one Baron Von Took – a gentlemen (in name if not in nature) who fled to London just before the turn of the 20th century. Von Took’s naughty antics fell on the wrong side of the law and he was sentenced to death. His last wish? A cheeky cocktail in Covent Garden (fair enough). The drink was a foil -part of a master escape plan that soon saw Von Took gallivanting with the best of them ( I believe the names of Dickens and Disraeli were mentioned) and earning himself a new nickname, The Escapologist, in the process. 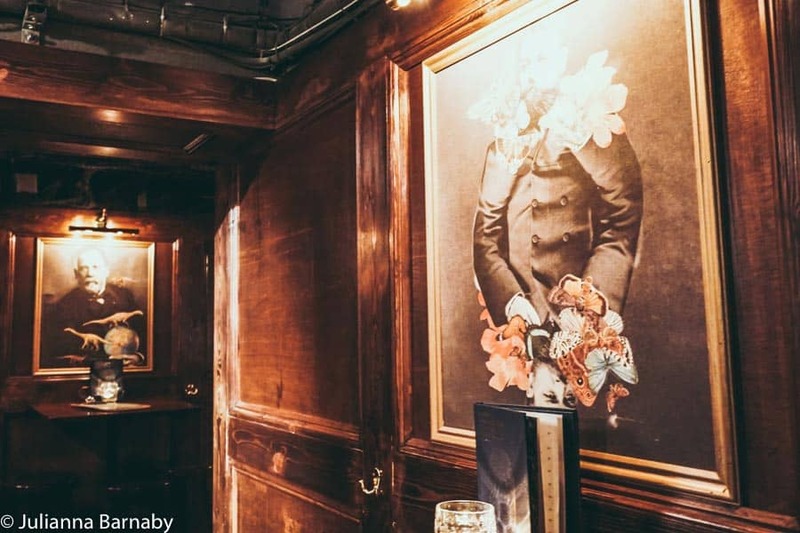 Believe the tale or not, The Escapologist bar does a rather good job of immersing you into the glamorous world of the upper echelons of late Victorian society – albeit with a suitable helping of fun to help ease things along. Cocktails are anything but Victorian – the range is rather eclectic but decidedly modern – Lemongrass Collins, Tommy’s Margarita, there’s even an appearance from the Plum Saké Negroni that I fell in love with over at its sister bar Blame Gloria on the other side of Covent Garden. They’re unashamedly punchy (read: very strong), reasonably priced and the perfect setup for a night on the town. It gets better during Happy Hour -two for one cocktails between five and seven each day (same for beers and prosecco if that’s more your style). In short, it brings a welcome sense of lighthearted fun to an area that can sometimes feel a little lacking in the stuff.